Afternoons toddling in the park call for ice lollies and this breezy smock-detail top. Made from 100% cool cotton, the embroidered front features strawberries or flowers. 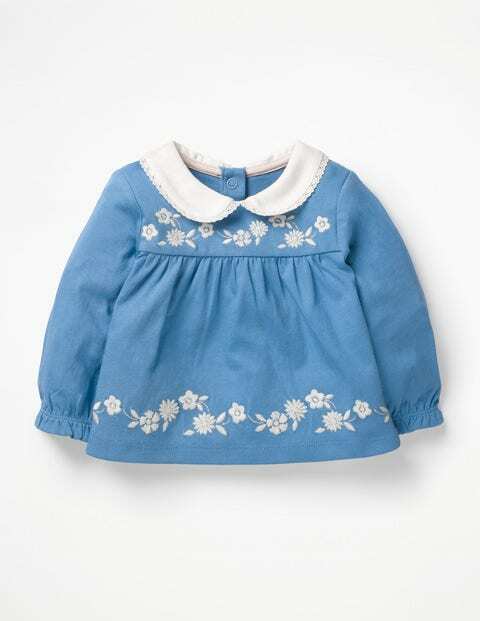 A Peter Pan collar and frill sleeves are edged with delicate lace detailing, while poppers at the back allow for a quick escape if things get melty with that lolly.